The Teuila Festival has evolved over the years. And if you ask Agnes Erichsen from Agnes Florist & Tropical Plants of Apia for her opinion, she will tell you that the Festival is a lot more than simply to attract tourists. 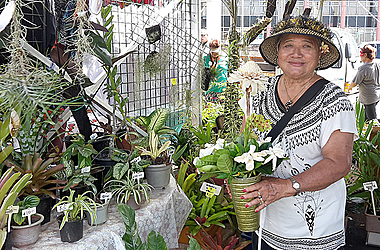 When the Festival was in full swing last week, the Samoa Observer caught up with Agnes at her stall. She was among many locals who made good business throughout the week. She is no stranger to the festival, having taken part in the Festival as far back as she can remember. She tells the Samoa Observer that the origin of the festival goes back to the bright red flower, known as the teuila. She remembers it starting at a time when she was working for Polynesian Airlines. “The plant grows throughout Samoa all year round,” she says. 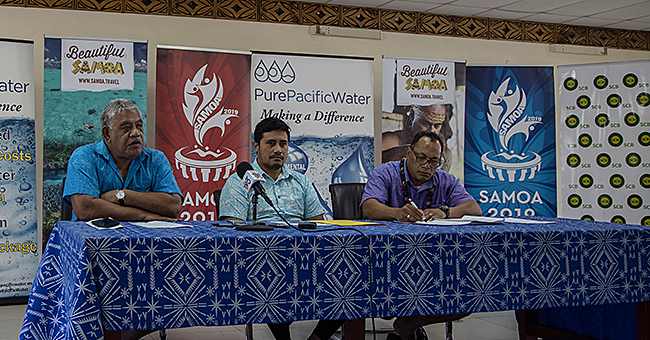 Fast-forward to today, the Festival has created a meeting space not just for tourists but also for Samoans who return home at this time of the year. For her though, it is a good time for business. She is famous for her flowers and tropical plants in Samoa. The experience she gained during her time in Europe gives her the edge. Agnes says the location of the stall is quite important. Accessibility by visitors is the key. In comparison to other Teuila vendors, her clients are mostly local people since tourists are not allowed to take flowers, plants and fruits to their home countries. Looking ahead, she believes the Festival is only going to get brighter. As for her love of flowers, Agnes, who devoted her life to flowers from a young age, told us an interesting story. Sometime ago, she went to Denmark for six months and her grandmother stayed in her house to take care of it. Her task was to water the plants in her garden. When she came back, her grandmother had killed all her plants. Agnes got a shock but she never lost her love of flowers. Today, she is back doing what she loves. And at the Teuila, it is more than business. 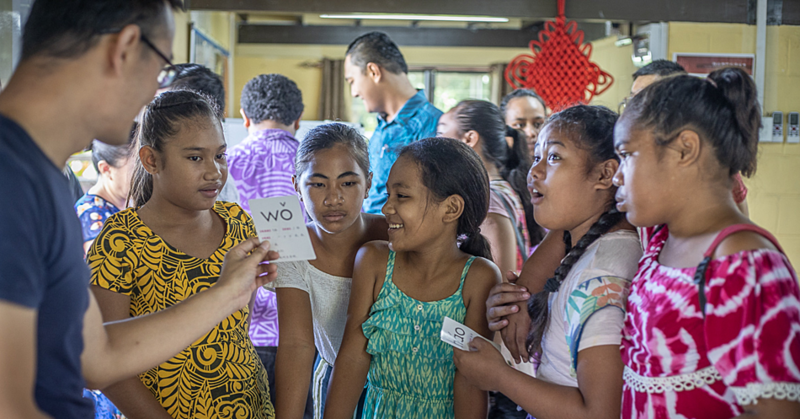 She enjoys meeting people, making connections and promoting the beautiful colours of Samoa.